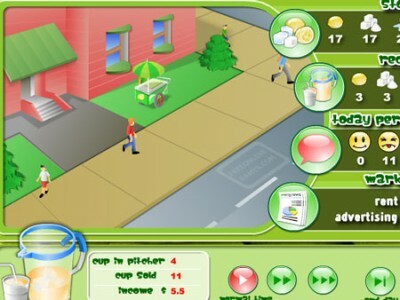 Sim Lemonade Millionaire. Games online. Become a millionaire by selling lemonade. Buy products for making lemonade, choose the recipe and location for your stall. Run an advertising campaign an open your lemonade stall.